For Thanksgiving 2017, I returned to Pickrell, Nebraska, for my second consecutive Wild Turkey Chase 13.1. As Nebraska rapidly reached freezing temperature in October, I assumed winter approached early this year and quickly registered for a half marathon to potentially conclude running for 2017. Nevertheless, when I felt the temperature gradually bounce back, I somehow put myself in position for back-to-back-to-back half marathons in just under four weeks. In the spirit of Thanksgiving, I did not want to let any negative thoughts enter my head, tough task with my unhealthy work environment that affects me both mentally and physically. Being alone with no family or close friends anywhere near the Midwest makes this situation even more difficult to cope with. Each time an upsetting thought crept into my mind, I tried my best to empty my head and solely remain grateful for what I have rather than concentrating on what I lack. The race temperature commenced in the upper 20s, and a female runner to my right called me crazy for wearing solely a T-shirt for the top; I replied to her, who had on three layers of clothes that included a thin jacket, “You are going to sweat a lot. You are crazy!” She after the finish thanked me for this warning, as she took off one layer and still experienced much sweating. I kept an easy pace halfway through, and many runners passed me. At the midpoint turnaround, my pace arbitrarily automatically picked up, and I landed three feet behind a runner who has completed an IRONMAN and became my inadvertent pacer for the majority of the second half. As I spotted his continuously looking down at his GPS watch and consistently running at a 9:05-per-mile pace, I figured I would safely collect a sub-2:00:00 finish as long as I stayed close to him. Multiple runners who had passed me in the first half began to slow down, and I passed about 20 of them in the second half. I did not look for my distance on my Garmin to avoid being caught up on “Am I there yet?” When the tall buildings towards the start became visible, I checked my GPS watch and was surprised to notice I had less than one mile to go. Because I knew based on the year before and the distance my Garmin gave me at the midpoint I would be running slightly over 13.1 miles, I to be certain to finish under two hours immediately substantially increased and maintained my speed, almost sprinting, for nearly a mile, shaving off five seconds per mile in the final stretch. For the first time ever in a race, I hit an immense negative split the second half of the course. Crossing the finish line full of energy and not even remotely out of breath in 1:58:20, third place in Age Group 20-29 and my second official sub-2:00:00 half marathon, I wondered if I could potentially run much faster than I believe I am physically able if I pushed myself harder to the point I have nothing left at the end. As I always do, I spent the next half an hour chatting and making friends with fellow runners. 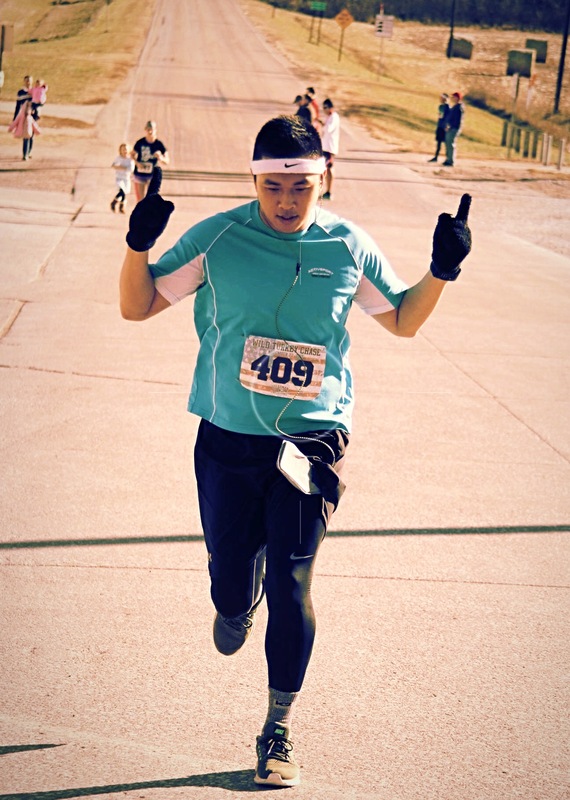 I aimed to give every runner a thumbs-up throughout the race, and I may have succeeded in doing so; I truly enjoy the aspect of strangers cheering one another on to accomplish our respective goals. 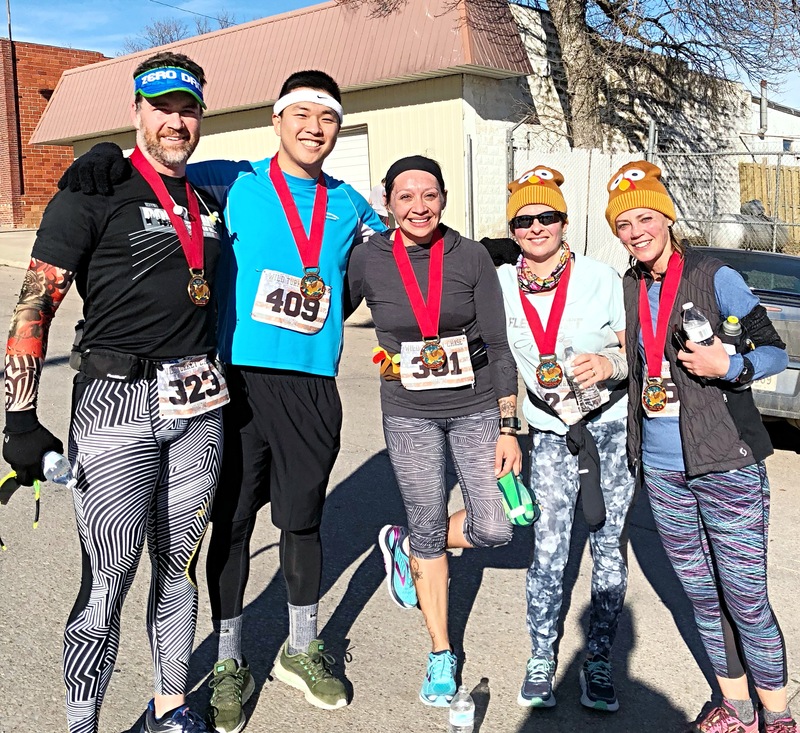 The Wild Turkey Chase 13.1 probably wrapped up my most active race year to date, with one 102-miler and seven half marathons in nine months. I still feel fresh and would not mind running another race soon, but no upcoming running events near me offer a far-enough distance I prefer, likely due to the anticipated cold. 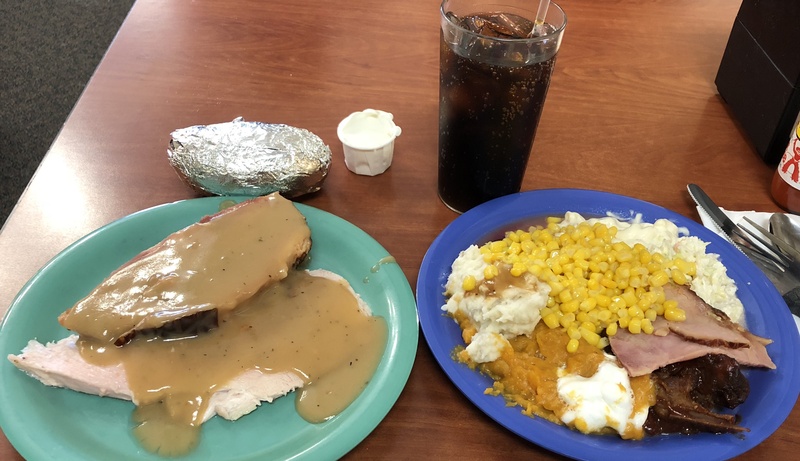 Following the event, I headed to Golden Corral in Lincoln for the Thanksgiving special buffet and celebrated the holiday alone. Words cannot describe the loneliness of where God has placed me to train me at the moment, but I also understand this adversity will soon pass and how abundantly He has blessed my life. As one of my church pastors said, “When we focus on what we lack, we lose perspective on what we have.” I can eat whatever I want whenever I want, while hundreds of millions of people around the world live in poverty. I drink clean water. I have a job and make a solid living. I rent my own apartment. I own a car. I have a laptop and a smartphone. I have health. I was blessed with a family who fears and passionately loves and serves Jesus. Most importantly, I have the privilege of calling the Creator of the universe my Father. I cannot count the amount of blessings I have been freely given by grace, and my every day should be Thanksgiving. “Rejoice always, pray continually, give thanks in all circumstances; for this is God’s will for you in Christ Jesus” (1 Thessalonians 5:16-18). The course in Quarry Oaks (golf course) repeated the same loop three times, out, back, and back out. Continuously running up and down (and hardly ever running flat) on untrimmed grass and trails, I thought half-jokingly two miles in, “What the heck did I get myself into?” Before this experience, I had never walked in a half marathon, so I remained adamant in the first loop of roughly 4.5 miles to keep running. The unending immensely steep and long hills, so steep I had trouble seeing the peak running uphill and slowing down running downhill, forced me to start mixing in power-hiking (for the first time ever) and walking with running at the midpoint of the second loop; I thought this wise as most runners began walking long before I did. Understanding this would most likely be my worst half-marathon time ever by far, which should be the case considering the massive leap in technicality from all of my previous races, I stopped looking at my Garmin several miles in to avoid being demoralized. Cardio-wise, I felt as strong as ever, but I could not push my legs to go faster because I had not been training for hills, let alone hills to this extreme. If I had any anticipation about this course, I would have prepared more specifically and efficiently and for certain performed better, although Kearney does not offer an ideal ground to train for a terrain like this. My average mile pace read significantly slower than that of any of my marathons, testifying to the difficulty and technicality of the race. For some reason, I thought “half-ish” meant slightly less and not more than 13.1 miles; one runner’s GPS gave the distance closer to 14 miles, while mine read 13.17 with an elevation gain of 1,916 feet and loss of 1,903 feet. 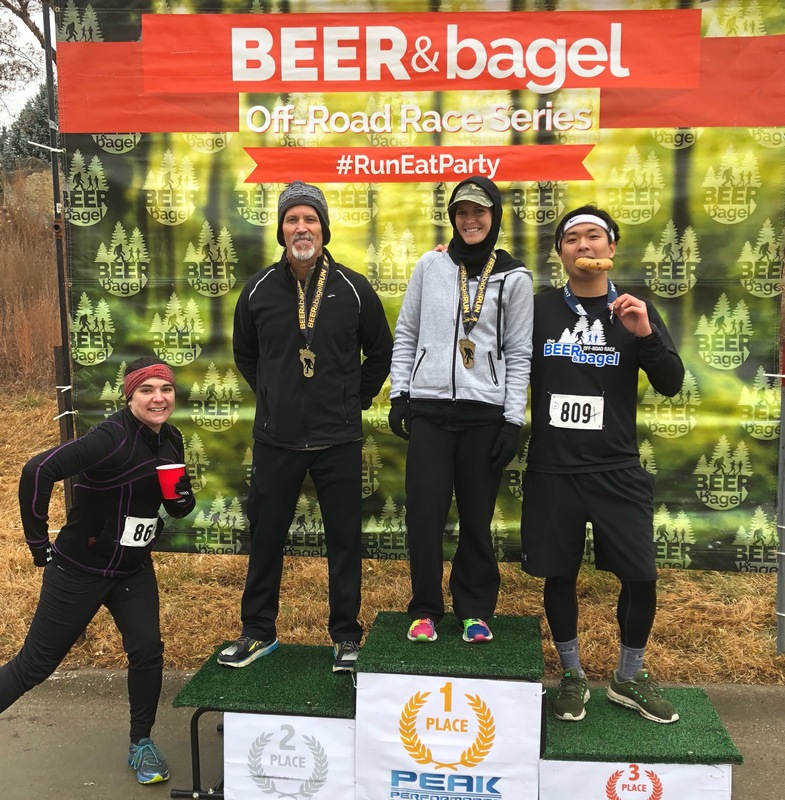 I believe, to some runners, this particular Beer & Bagel Off-Road Race Series ½-ish Marathon would be more physically demanding than a flat marathon. I can confidently claim this course the toughest and hilliest I have ever run on without a close second, and my time of 2:37:58 accurately illustrates that. I still enjoyed this unique experience and eating a slice of humble pie.